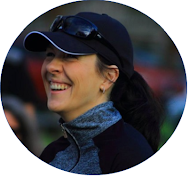 When you participate in your fair share of local running events, you start to get to know the faces of the runners with a similar pace as yours. Somehow, like magic, no matter how far apart you start at any given event, after a kilometre or two, as the bunch starts spreading out, your unsuspecting pace buddies are always there. Right in front of you or right behind you, depending on who's having the better day. You get to know their running styles, their favourite running gear and even their trademark little running quirks. It's almost like stalking someone without any intention of doing so. It comes as no surprise, then, that I also have an unknowing pace buddy. Weekend after weekend, at our local parkrun, he's there. I've learnt by now that his running strategy is to start off fast and ease off later on. Mine, on the other hand, is exactly the opposite: I ease into every run and then finish strong. Which inevitably means that week after week, I catch up to my pace buddy at almost exactly the same section of our local parkrun route. It's uncanny. 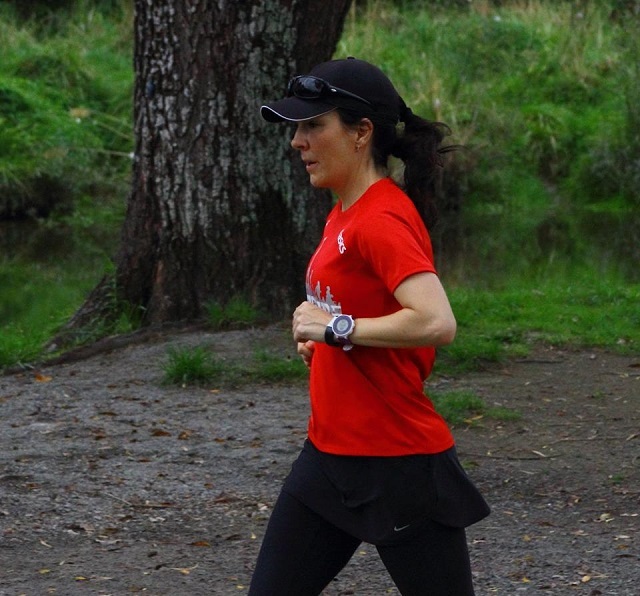 Finishing strong at a recent local parkrun event. Now, as reassuring as spotting a (sort of) familiar face can be when you're at 80% of your VO2max, my unsuspecting pace buddy has exactly the opposite effect on me. When I see him, I want to flee. Because you see, he's a serial snot rocketeer. Don't get me wrong. I have absolutely nothing against a discreet, well-timed and accurately aimed snot rocket (although I prefer using a tissue myself). So perhaps then my unsuspecting pace buddy's flaw is not so much that he's a serial snot rocketeer, but rather that his technique needs a bit of work. 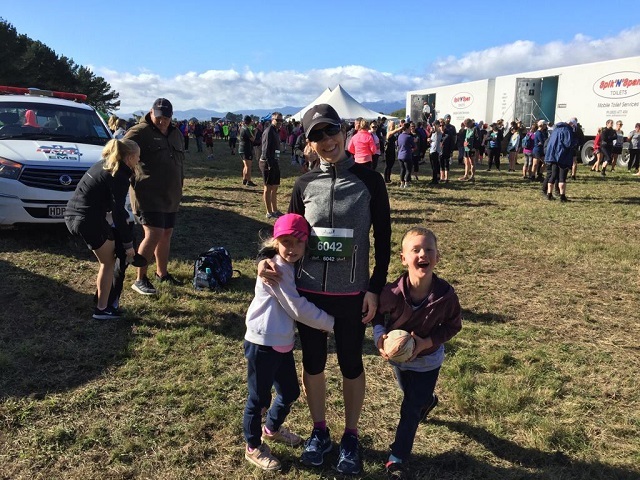 About a year ago, as I was suffering from a serious bout of the taper crazies while tapering for the Christchurch Half-Marathon, I ignorantly ran next to my pace buddy for the first time ever - downwind, no less - at our local parkrun. Up to that point, we'd had a great run. Our pace was identical and we matched each other stride for stride - it was almost as if our synchronised footfalls allowed us to feed off each other's energy. But then suddenly, out of the blue, he blasted out a snot rocket, right into my path, splattering me with nasal mucus in a way that I never, ever want to be splattered with a stranger's nasal mucus ever again. I'll spare you the details, but just know that chunks of it even flew right into my gaping mouth. I was traumatised. I felt nauseous to the core for two weeks straight and still can't think about the incident without wanting to hurl. It. Was. Atrocious. I'm sure you'll understand then that I've since altered my go-to parkrun pace to fall outside of The Snot Rocketeer's pace range. 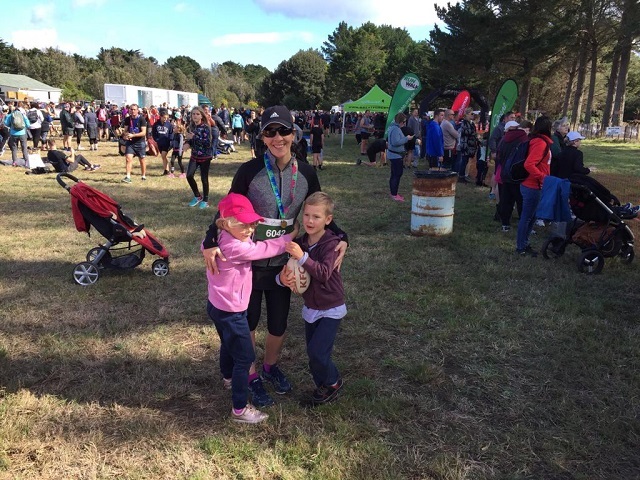 And I'm sure you'll also understand my utter shock and disbelief when, at last weekend's Great Forest Run 10K, my first race in almost a year, a familiar face greeted me at the starting line. Yup, out of the eight sub-events offered at this race, I just had to go and enter the same one as The Rocketeer. Unbelievable. Obligatory pre-race pic. Will: "But the porta-potties are in the background...!". Me: "Perfect!". And, sure enough, after the starting gun fired and the field started spreading out, I found myself in the company of none other than my slime expelling nemesis. And, yes, it was only a matter of minutes before I recognised the unmistakable warning signs of an oncoming mucus explosion. Only this time, I was prepared. I surged ahead to clock the two fastest kilometres of my race (see Kilometres 2 and 3 below), just in time to hear the sounds of The Rocketeer doing his thing in the background. Yuck. And then I never saw him again. 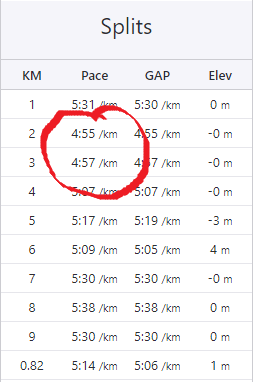 After 16 days of zero running, and one of the biggest running ruts of my life, I surprised myself by clocking a 51:46 - mostly thanks to fleeing from (and trying to stay ahead of) The Serial Snot Rocketeer. So if you, too, have an unknowing pace buddy whose running quirks are driving you up the wall, use it to your advantage. Let it inspire you to greater heights and a faster race pace - even if it is only to get away from them...! Oeeee hygent Saar, dis te erg!!! Snaaks, maar ERG! Jy kan al 'n boek skryf oor die goed wat jou op jou runs oorgekom het. Van die Franse wat toilet maak in die starting shoot tot die enkele Coke (?) op die aid tafel in Lesotho. Dankbaar dat jy deel en my laat lag! Nou so mag mens nou NIE snotrocket nie, sis! !